The Oh Mei Ma Kabir Weiss Chandelier (also known as the Oh Mei Ma Kabir White Chandelier) by Ingo Maurer is fashioned from six sheets of aluminum with a matte-white lacquered textured paint finish. 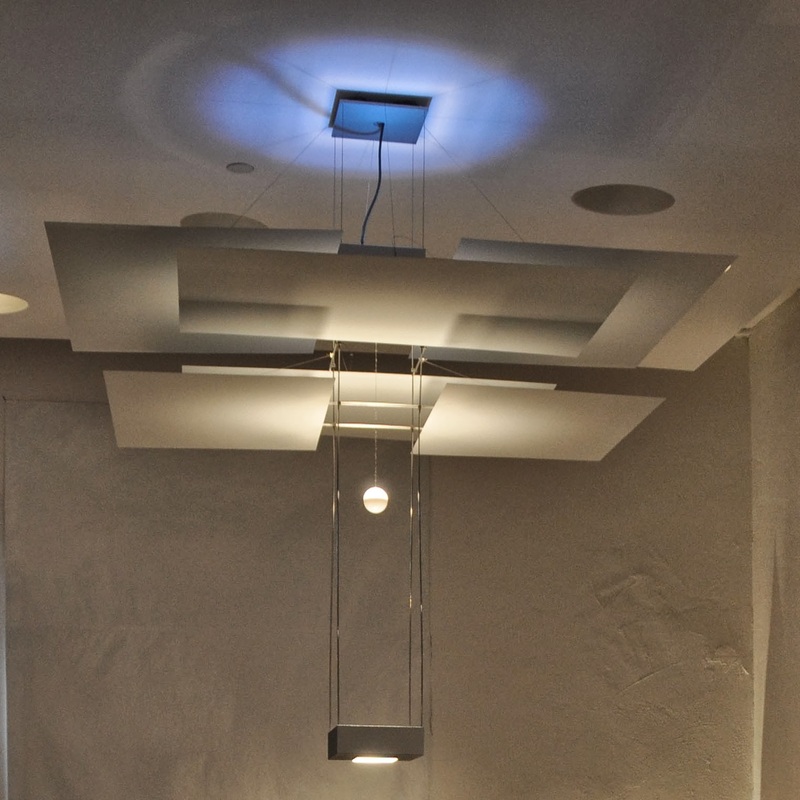 This stylish Ingo Maurer lamp is a sensation to behold. Ingo Maurer's Oh Mei Ma Kabir Weiss is a true classic and a fine example of Ingo Maurer's artistry. 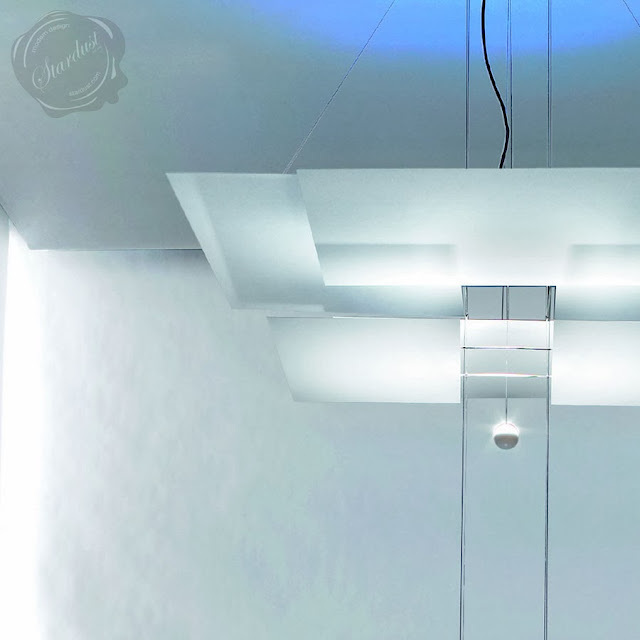 Oh Mei Ma Kabir Weiss is composed of 6 thin aluminum shades which are suspended from thin metal cables. The aluminum paper shades are nested above each other to create a soft, ethereal diffusion of light throughout a space. The height of Oh Mei Ma Kabir Weiss can be adjusted anywhere from 67" to 138" (170 to 350cm). Please note that this is the total height including the lamp itself. This chandelier accommodates 2 x max. 300 watts halogen light bulb (top socket GY 9,5 and bottom socket r7s) and can be dimmed with an external wall-dimmer (not included). 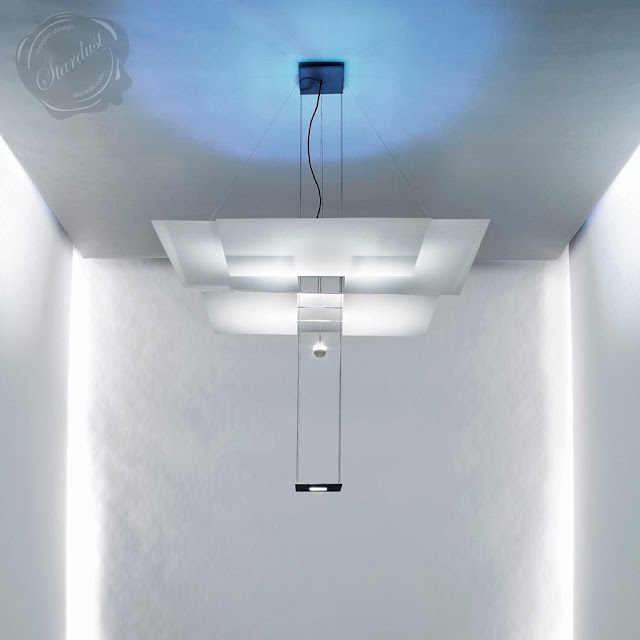 A visually stunning artistically designed Ingo Maurer chandelier with timeless appeal. Please note that this is a large chandelier and therefore perfect for larger spaces with taller ceilings. Professional installation is recommended.